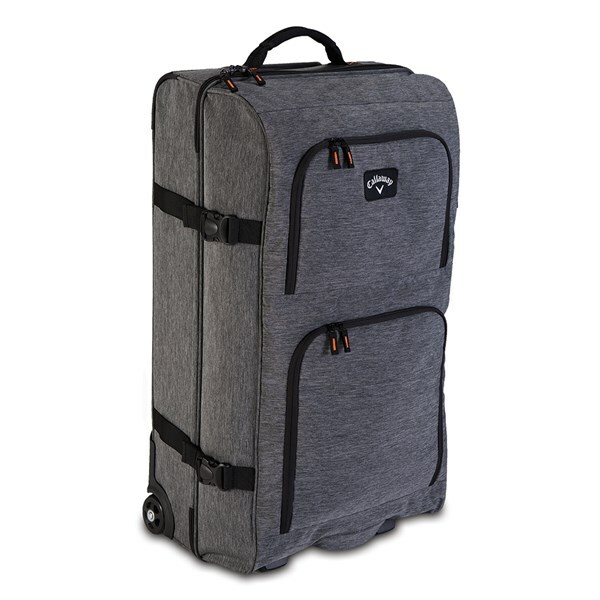 If you are travelling for more than a weekend then the Callaway Clubhouse 32 Inch Rolling Bag is the ideal piece of luggage. An easy access main compartment will allow you to load and unload the contents of the Rolling Bag easily and without fuss. Internally you get two compartments for improved organisation. 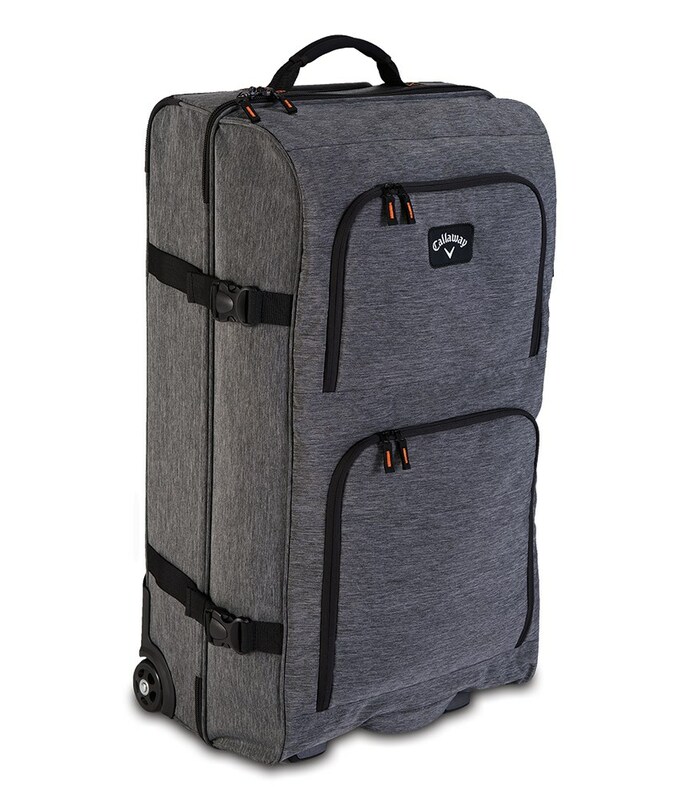 Externally there are two accessory pockets that are easily accessible and also two quick release tie downs to help keep the contents in place during transit. To make transportation easier Callaway have used a combination of a grab handle for loading and a telescopic handle that is strong and adjustable to make pulling much easier. And to make sure the Clubhouse Rolling Bag glides over any surfaces they have used in-line easy glide wheels.